It is designed to rebalance soft tissue and increase the flow of blood and lymph, particularly in injured areas, thus removing blockages, damaged cells, scar tissue and adhesion. 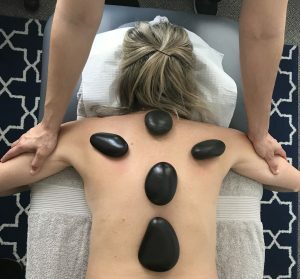 Remedial massage is performed with the aim of restoring healthy movement, after addressing any pain and dysfunction, by utilising techniques such as trigger-point therapy, myofascial therapy, muscle energy techniques and many more. Sports massage is a form of bodywork geared toward participants in athletics. It is used to help prevent injuries, prepare the body for athletic activity and maintain it in optimal condition, and to help athletes recover from workouts and injuries. Sports massage has three basic forms: pre-event massage, post-event massage, and maintenance massage. The benefits include improved flow of blood and nutrients, injury prevention, reduced cramping, enhanced recovery and many more. Deeply relaxing massage techniques tailored to personal needs. Designed to energetically restore mind and body. Living essence and floral acu-pressure therapy is often incorporated to replenish and release stored emotions and relieve stress and tension. Unique innovative massage with healing hands and holistic techniques combined. Balancing the yin and yang flow with a nourishing wildflower remedy massaged deeply into the body. Yang flow release pain, tension and knots, prevent and restore soft tissue damage. Perfect for active lifestyles, before and after sports activity to keep the muscles supple. Yin flow, a healing touch on the body acts as a natural antidepressant, comforting the mind and body, reduce pain and improve sleep. Using essential oils, aromatherapy massage affects the physical and psychological wellbeing of the patient through the belief that scent is the most enduring of all our senses and has the ability to heal and restore our bodies. This massage technique is the most gentle which is why we believe it makes a GREAT gift for someone you believe deserves some pampering or maybe just to treat yourself. We recommended 1 and ½ hours for full relaxation. Carefully selected warmed river stone massage to gently sooth and release tight and tired muscles. Slow effleurage movements with the stones increase circulation and restore healthy tissues. The evidence of baby and child massage dates over 3000 years. For centuries, parents would instinctively soothe their babies by holding them or gently rubbing their backs, and that in some countries, infant/child massage is still considered a routine part of childcare. It has been predicated that since the mid- to late-1990s, infant/child massage has become very popular in the United Kingdom (UK), with emphasis placed on physiological bonding between parent and baby. There are various benefits of massage that have been identified, including improved concentration, behaviour, positive interaction; better vocalisation, and interaction with massage provider, less crying and improved sleep patterns. The Benefits Of Thai Massage. Thai massage has many benefits for the individual. 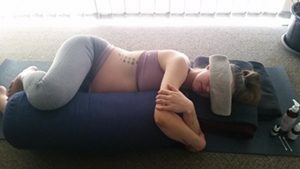 It uses the gentle pressure on energy lines and the yoga-like stretching to relax the whole body on a deeper level.This deeper level of relaxation improves the individuals’ personal outlook, and their emotional status. Our therapists deliver a firm yet slow flowing hot oil massage designed to penetrate directly into muscle tissue to instantly restore normal flow, release emotional stress and regenerate energy. Great for tired aching muscles all over and sore feet. Some Private Health Memberships will offer rebates on some of these therapies. If a rebate is important to you, please mention this when booking, and our friendly reception staff will be able to direct you the best option for you. Motivate your team by reducing their tension. Regular massage provides many significant benefits proven to enhance an individual’s overall sense of well-being. While obvious benefits include relaxation, reduced muscle tension and pain relief, regular massage also works to strengthen the immune system, improve staff productivity and morale, as well as reducing stress and stress related illnesses. 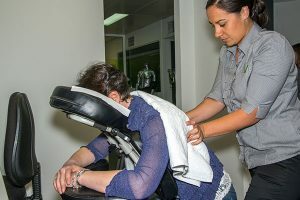 Bringing massage into the workplace has added benefits specific to the office environment, leading to healthier and happier employees who, in return, are more productive and loyal to your company. Have our team of massage therapists visit your workplace – your staff will love you for it! We’re based in Ascot/ Belmont but can travel to you in the local surrounds, or further by arrangement. Please contact us for a quote to suit your unique requirements.